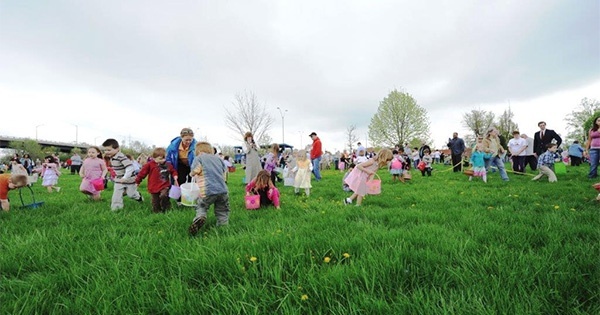 This year Fairborn is celebrating its 50th Easter Egg Hunt! Over 10,000 Eggs, lots of great candy & prizes, get your picture with the Easter Bunny! Arive early so you don't miss out! The horn sounds at 2pm and the Eggs will be gone in less than 2 minutes. This year Fairborn is celebrating its 50th Easter Egg Hunt! Over 10,000 Eggs, lots of great candy & prizes, get your picture with the Easter Bunny! Arrive early so you don't miss out! The horn sounds at 2pm and the Eggs will be gone in less than 2 minutes. Find more events like "Wright-Patt AFB & Fairborn Chamber Community Easter Egg Hunt"
The Fairborn Area Chamber of Commerce is an organization of business and professional leaders united to do what no one can do alone - Working together to: Increase wealth and prosperity by facilitating the growth of existing business and fostering new ones.